HUZZAH! Mighty No. 9 meets Kickstarter goals and is coming to PS3, 360, and Wii U! If this isn’t proof that gamers are the best humans in the world, then I don’t know what is: Mighty No. 9‘s Kickstarter page just announced that the Mega Man successor has surpassed its goal of $2.2 million, and will now be developed for the 360, PS3, and Wii U, in addition to Linux, Mac, and PC (PRAISE THE GREAT BIG, BLUE ROBOT IN THE SKY). Over 40,000 people from around the world supported and pledged money to Mighty No. 9‘s development, and this news comes a mere 17 days after the title was shown off during PAX Prime. 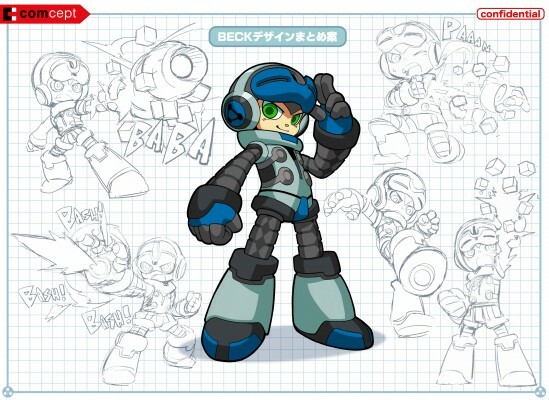 The brainchild of Keiji Inafune, Mighty No. 9 is a spiritual evolution of his own Mega Man series, with classic side-scrolling goodness that all gamers crave. The game hit its initial goal of $900,000 in less than 40 hours and just keeps going, reaching its stretch goals of extra levels, game modes, making-of documentaries, and CPU/console development. Now the title goes towards its next goals: online co-op and support for PS4 and Xbox One. If you pledge money, you’ll get updates that include concept art, videos, podcasts, and an upcoming backer-vote to determine the design of one of Mighty No. 9’s main characters, which is like giving birth to a videogame robot baby. Check out Mighty No. 9‘s Facebook page and remember to pledge, pledge, pledge! So happy that this game is even a THING, let alone is coming to consoles!